The non-partisan meeting is a first for the province. Last month, Premier François Legault said he was open to the idea of establishing a special tribunal for victims of sexual assault. A first non-partisan meeting to look for ways of providing support for victims of sexual violence in Quebec took place in Montreal between representatives of the province's four political parties on Monday. The meeting was suggested by Parti Québécois MNA Véronique Hivon​, who has proposed creating a tribunal for sexual assault crimes in Quebec. 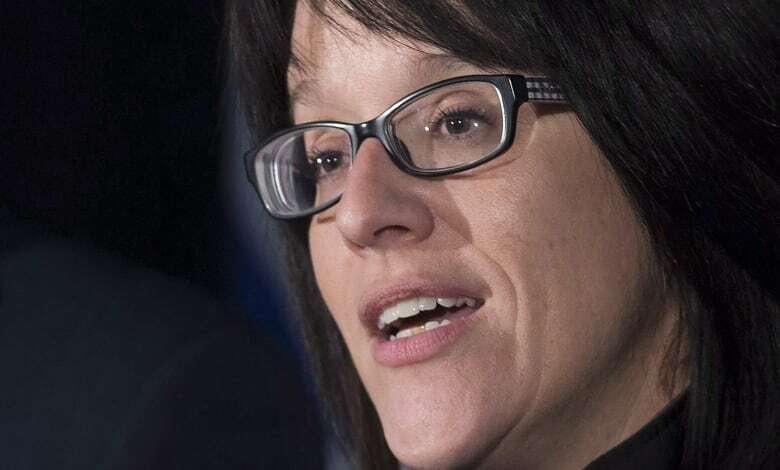 Justice Minister Sonia Lebel, whose portfolio also includes the status of women, said the meeting was "extremely productive" and that the four MNAs will continue to work together on the issue. She said that the next step to come up with "viable" solutions is to create a formal process to get input from others, such as experts on sexual violence, survivors of sexual assault and groups that represent survivors. Last month, Premier François Legault said he was open to the idea of a special tribunal. "After all the bravery demonstrated by sexual assault victims in the #MeToo movement, I think that, as elected officials, we need to get to work to rebuild trust," Hivon told Radio-Canada. The meeting was held at Lebel's Montreal office. Hélène David, the Quebec Liberal Party's status of women critic, and Christine Labrie, who occupies the same role for Québec Solidaire, were also there. All four parties have said they would like the government to look into creating a special tribunal, but that the process should include support for victims well before they must appear in court. "We're going to be the four parties together, four women, who will discuss extremely important issues," David said, adding that she would be advocating with both female and male victims in mind. Labrie says her party is calling for complaints that get rejected by police to undergo a revision process before they're thrown out for good.